European Job Days in Trier, the job fair for transfrontier working within the Greater Region of Saar-Lor-Lux-Rhineland-Palatinate. The European Job Day will be held at May 9, 2014, at Europäische Kunstakademie (Aachener Str. 63, 54299 Trier). Starting 10 a.m. you’re invited to furnish information on job and training possibilities in Germany, France, Luxembourg and Belgium. Transfrontier Working – here you can meet multinational operating companies from different sectors from the region of Trier-Luxembourg. They’ll hold power talks to introduce themselves and invite you to get to know you. Regional employers are excited to meet you and may’ll do job interviews right away. Apprenticeship and Advanced Training – meet with institutions from the Greater Region, like universities, occupational counsellors from local employment agencies, etc. Pupils of all class levels may start their career on international scale here or can get a hold of information about their university of choice. Social Security – make contact with EURES advisers from the Saar-Lor-Lux-RLP network and get information from representatives from revenue offices, annuity insurances, health insurance and labour unions. The regional labour market is growing without cease and trainees, new skilled labour and junior employees are demanded like never before. Rhineland-Palatinate’s economy is rich on industrial diversity and offers a broad variety for skilled personnel. The European Job Day informs on living and working conditions within the Greater Region in particular. The EURES advisers of Trier inform and connect on this topic. 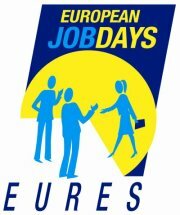 The European Job Day in Trier will be organized by the local EURES advisers from the Agentur für Arbeit Trier (Employment Agency), Annette Fehrholz and Mirko Löhmann. It’s their task to inform people on employment opportunities in the Greater Region, the passing of advice on general living and working conditions, to answer to questions about social security abroad and providing possibilities for apprenticeships and further education.